OLD PARKED CARS. : 1967 Ford Galaxie. 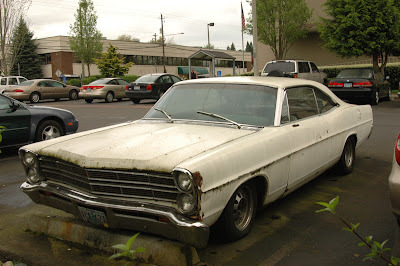 another galaxie struggling over to the junkyard. Put it out of its misery. 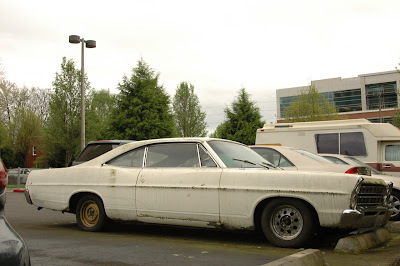 Poor 'ol Galaxie....still soldering on, at least. I like the one small steelie on the pass. 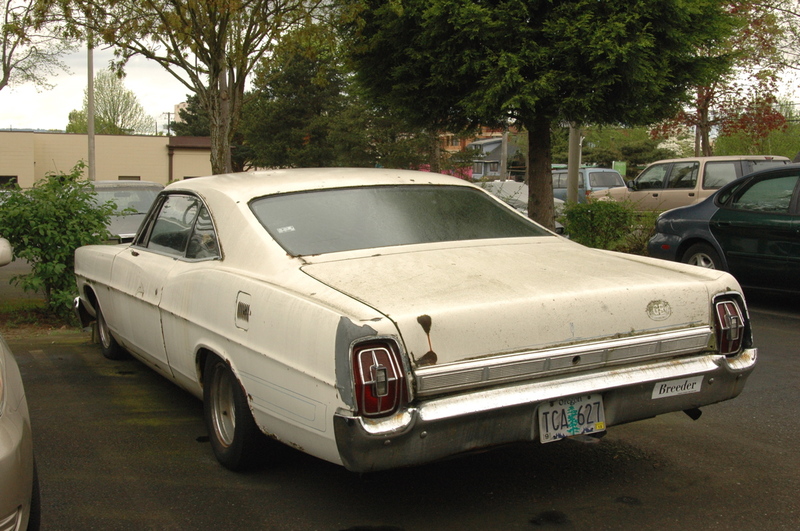 side rear. I see Galaxies more than most other classic Fords, but this one is more honest and humble than the majority. And that makes me ok with it. The side profile is still a handsome one, and I like how the front end comes to a point. For original (probably) paint, I think this is structurally quite respectable. also notice the custom pinstriping.